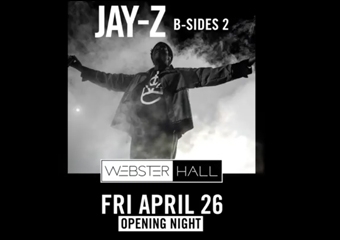 Jay-Z headling reopening New York City's Webster Hall on April 26. This Brooklyn boy's show will be full of B-side shows only, the venue announced on Monday. How great is this!!!?? located on East 11th Street in Manhattan, closed its doors for renovations in 2017. Webster Hall has been an East Village staple since 1886. The building used to be a "hall for hire" and a recording studio that captured the sounds of Elvis Presley, Frank Sinatra and even film soundtracks, there is a deep history and now Jay-Z a living icon has decided to reopen the doors investing his money in the building.